From modern alternatives to braces, to non-metal restorations that look like natural healthy teeth, Virtue Dental Care views every patient’s needs from both a cosmetic and holistic perspective. Dental materials and procedures should “do no harm,” yet amalgam that contains mercury has been universally accepted in dentistry since the mid-1800s. Mercury-containing metals and other potentially toxic materials are not accepted at Virtue Dental Care. The dental team follows stringent protocols for the removal of toxic materials placed by other dentists. These high standards are designed to protect or restore both the beauty and health of your smile; non-metal ceramics are friendly to living tissues, and they are tooth-colored. You avoid aesthetic concerns with mercury-containing amalgam that doesn’t look natural and is visually distracting, due to its silver appearance. Techniques should always preserve maximum natural, healthy tooth structure, which results in optimal appearance and function with fewer side effects and faster healing. Tooth-colored inlays and onlays provide just such a conservative and non-traumatic approach to full-coverage crowns. With CEREC technology, these beautiful restorations are made and placed in a single visit for a convenient, comfortable, and stress-free experience. From dental implant-supported crowns designed like natural teeth to the Inman Aligner for comfortable and aesthetically-pleasing orthodontic treatment, Virtue Dental Care selects products and procedures built to last and to provide lasting function. 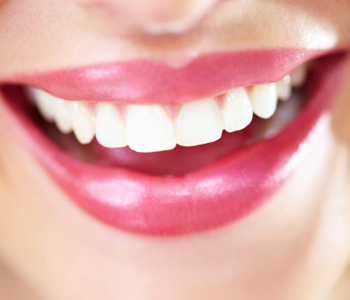 Any treatment must enhance oral health; for instance, straight teeth are easier to clean. Proper oral hygiene is fundamental to oral health, and a healthy mouth facilitates having a healthy body, because dental disease is linked to many serious medical conditions. Dr. Virtue’s Cosmetic Dentistry in Yadkinville also includes Zoom! whitening, life like porcelain veneers, and Six Month Smiles aesthetic braces. Virtue Dental Care Patients call (336) 679-2034 and New Patients call (336) 679-2034 to schedule an appointment.